Anniversary Cake, a photo by CAKE Amsterdam - Cakes by ZOBOT on Flickr. 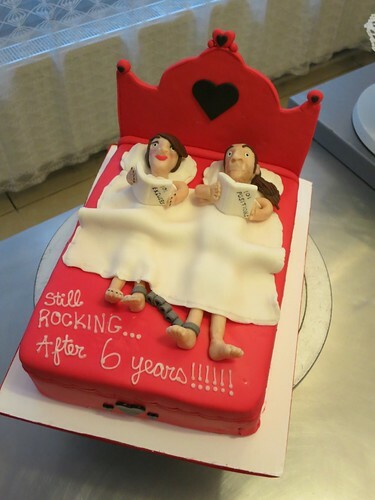 A couple 6th anniversary cake! Flavor : Chocolate cake with chocolate ganache buttercream.